The new SE 62 replaces the very popular SE 61 and boasts a significant reduction in noise levels. Ideal for regular home use as well as workshops and car cleaning. 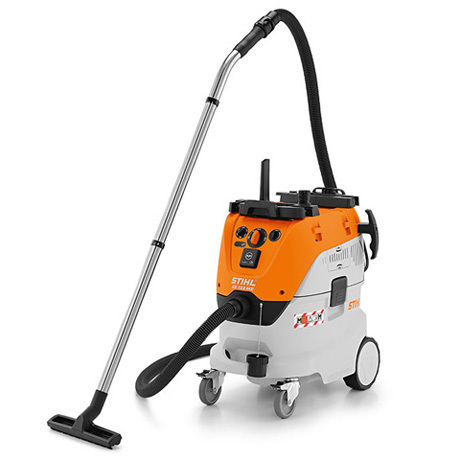 Featuring a powerful 1400 Watt engine and multistage filtering to give the user the ability to clean up sand, wood & metal chips, broken glass, non-toxic dust, water, and other non-flammable liquids Designed with an improved housing to significantly reduce noise levels. 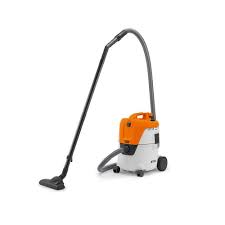 This quiet wet/dry vacuum delivers superior suction power to quickly and efficiently complete the toughest tasks without disturbing those around you. The 10' suction hose and 25' electrical cord, along with pivoting front casters, make this vacuum easy to use and maneuver, resulting in less fatigue. Onboard storage for all standard accessories makes this vacuum easy to store. 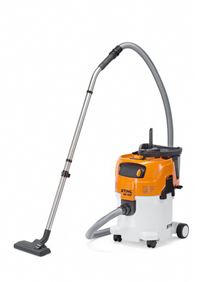 The new SE133 ME is a full wet and dry vacuum cleaner with automatic switch-on function in Dust class M. Automatic filter cleaning without loss of suction, automatic volume flow monitoring, infinitely variable speed control with adapter plates for carrying tool boxes, anti-static accessories also for extraction on battery powered electric power tools.